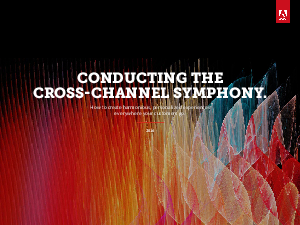 Download our Adobe guide, Conducting the Cross-Channel Symphony, to discover new strategies for creating, managing, and orchestrating cross-channel campaigns. With expert advice from cross-channel maestros, you’ll be equipped to create beautiful marketing music that gets rave reviews from your customers. Simply fill out the form to read the guide.